An application filed yesterday by former Opposition leader Simon Busuttil claiming a violation of his right to a fair hearing is due to be heard next month. In his application, Dr Busuttil claimed his right was being violated through Mr Justice Antonio Mizzi’s decision not to abstain from presiding over appeals relating to the Panama Papers issue. Dr Busuttil requested the First Hall, Civil Court, in its constitutional jurisdiction, to declare a breach of his right to a fair hearing, revoke or annul any decree or sentence that affected the case, and provide for the appeals be heard by a different judge. The appeals had been filed by Prime Minister Joseph Muscat, his chief of staff Keith Schembri, Tourism Minister Konrad Mizzi, as well as Brian Tonna, Karl Cini, Malcolm Scerri and Adrian Hillman against a decision by magistrate Ian Farrugia regarding the Panama Papers case. Last July, Magistrate Farrugia had decreed that the pre-requisites for a criminal investigation into the alleged scandal had been met. The Prime Minister and the other six high-profile individuals targeted by said investigation had filed an appeal. However, Dr Busuttil had objected to the hearing of these appeals by Mr Justice Antonio Mizzi on account of the fact that the latter’s wife, Labour MEP Marlene Mizzi, had publicly expressed her thoughts on the Panama Papers, agreeing with the PL position, and that of Prime Minister Joseph Muscat. 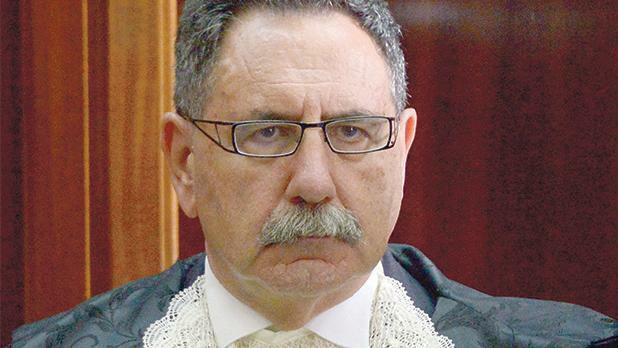 Yet, Mr Justice Mizzi had turned down the challenge to recuse himself, which prompted the constitutional application filed yesterday by the former Opposition Leader requesting a judicial remedy for the alleged breach of his right to a fair hearing. This case has now been assigned before Mr Justice Joseph Zammit McKeon and its first hearing is scheduled for next month. Dr Jason Azzopardi signed the application.